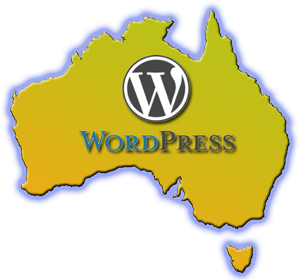 WP Training Australia are specialist providers of WordPress Training and WordPress Consulting services. If you have a WordPress based website or blog and want to ensure that you are getting the most out of it, WordPress Training can teach you everything you need to know to allow you to update, expand, and manage the site on your own. If you’ve got some questions about your WordPress website or problems with your WordPress themes or plugins, our WordPress Consultants can work with you (or your web developers) to help you identify and fix the issues ASAP. Our training courses and workshops are conducted by experienced WordPress professionals, all of whom have used WordPress over a number of years to develop clients (and their own) websites and blogs. We conduct classroom, one on one, and small group WordPress training courses that can be customised to meet your specific needs. If you have a WordPress site, but don’t have the time (or desire) to learn how to use it properly, our WordPress Consultants can work with you (or your developer) to ensure that your website or blog is working effectively and configured to maximise your benefits of being online. Andy Henderson runs our Brisbane office from our Carina Heights Trainig Centre. Andy is an expert in WordPress, SEO and Web Development. He now enjoys passing on his extensive knowledge to help you to become a online success with WordPress training customised to suit your needs.